Thing 9 in 23ThingsEdUni is actually titled Google Hangouts / Collaborate Ultra. Video/web conferencing software has been a bit of a crap shoot in my experience. I have experience with Blackboard’s Elluminate (back in the day as a student), Collaborate (as a participant as far back as ETMOOC), Adobe Connect (branded as eClass Live! ), and WebEx. Each of these are licensed products and I used which ever one my institution had access to. I should note that I have been a participant in Zoom meetings, particularly in my time volunteering with Designers For Learning, and Zoom by far had the best experience both in terms of UX and stability of the connection. I’ll never forget the sound of my instructor’s voice on Elluminate as the audio tried to catch up and his voice sounded like Alvin the chipmunk. Outside of official work there have been a number of video call apps I’ve used over the years. The first of which was Skype. Skype worked quite well back in the mid 2000s. I even put money on it so I could use the VOIP features and make international calls to friends of mine over seas. Eventually though, Microsoft bought it and in the transition to having an MS account things got difficult (add this to the list of why we can’t have nice things). I continued to use Skype well past the takeover, but one day my account got hacked. I messaged everyone in my contacts letting them know not to open any links my account might have sent. Then I went to change my password. Well, that turned into an endless loop of “create an MS account”, “connect to Skype”, “change password”, “oh it looks like you need an account”, “your email is already in use”. And Microsoft was ZERO help. Cool, I was in the middle of shutting down a whole bunch of accounts at that time anyway, so bye bye Skype. I now use a combination of Appear.in (rarely), WhatsApp, and Facetime to video call. They all work pretty well. I wouldn’t say I’m entirely happy with their performance for a variety of reasons, but it’s good enough considering it’s free. I had also used Google Hangouts for a long time. I started using it in grad school a bit, then all of the admin meetings for #TvsZ were done on Hangouts. I’m pretty sure Virtually Connecting uses it as well, and it was the primary communication tool when I worked on an OER project in a distributed team. Overtime I found the changes to it a little annoying and other tools a bit easier to use, so my use dropped off. I guess that’s not a bad thing considering some of the upcoming changes Google announced this week. There may be more opportunity for designing synchronous activities and sessions in online courses in my future so I am looking forward to taking a more active look at web conferencing options again. 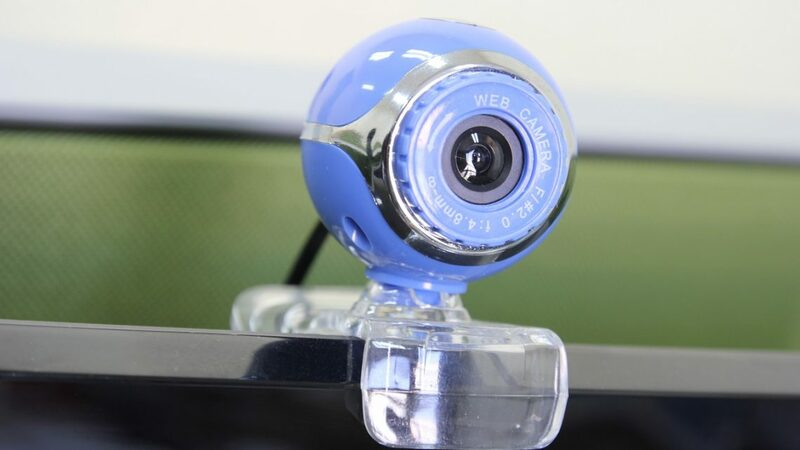 Web Cam by Vitamin was published at Pixabay under a CC0 License.